Shimla: Thundershowers and snow lashed Himachal Pradesh on Monday, causing temperatures to drop. Shimla shivered as overnight rain brought down the minimum temperature . According to the Met Office, precipitation across the state would continue till Tuesday. The majestic Dhauladhar ranges of the Himalayas surrounding Dharamsala wore a fresh blanket of snow, as did the nearby hills of picturesque tourist resort Manali. "High-altitude areas of Lahaul and Spiti, Chamba, Kullu, Kinnaur, Sirmaur and Shimla districts have experienced moderate snow," a Met official said. Keylong, the headquarters of Lahaul-Spiti, received overnight snowfall. Rain lashed lower areas of the state such as Dharamsala, Palampur, Solan, Nahan, Bilaspur, Una, Hamirpur and Mandi, resulting in a dip in temperatures. 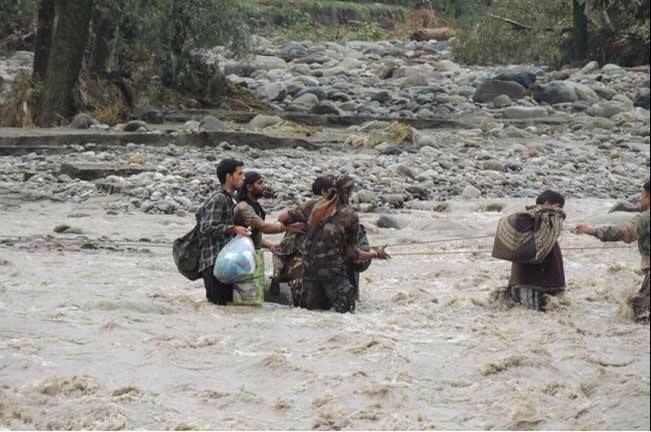 Srinagar: Floods ravaged Kashmir Valley on Monday following incessant rainfall over the past four days. Anxious people began to leave for safer places as authorities kept a watch on swollen mountain streams and the Jhelum river which was in spate. People feared a repeat of September 2014 when floods had left a trail of destruction and death in the state. According to police, two houses sink into ground at Chadoora area in Budgam district of Kashmir, 16 people feared trapped. Prime Minister deputed Minister Mukhtar Abbas Naqvi to Kashmir for assessment of flood situation. "Flood level was 22.8 feet (status red) at Sangam (Anantnag), 19 feet (status red) at Ram Munshi Bagh (Srinagar) and 11.55 feet (status green) at Ashim (Bandipora) today (Monday) morning. ""All officials connected directly and indirectly with flood control operation have been ordered to report for duty and remain available at their places of posting," a top divisional administration official. "People living along the banks of Jhelum are advised to exercise extreme caution. Moving to safer places from vulnerable areas is advised," he added. People living in flood-prone areas of Srinagar city, especially those in Rajbagh, Jawahar Nagar, Gogjibagh, Wazir Bagh and some other places have already started migrating to safer places since Sunday evening. Many shopkeepers in the Residency Road and Lal Chowk commercial hub of the city were seen shifting merchandise to safer places, engaging load carriers for the purpose. These areas had been the worst hit during the unprecedented floods last September. Popular actor Naseeruddin Shah's statement that Indians were being brainwashed to believe that Pakistan is an enemy has been strongly criticized by the Shiv Sena.
" Pakistan continues to engage in bloodshed. Not only 26/11, the Delhi Parliament attack and terrorist attacks before that too were masterminded from Pakistan. Just a couple of days back, there was a terrorist attack at Kathua police check-post in Kashmir which killed an Indian soldier. Ask the soldier's parents why do they have so much hatred for Pakistan," Shiv Sena commented caustically..
Sena went on to state "Pakistan's intentions are there for everyone to see when Pakistan Ambassador Abdul Basit invited separatists to celebrate Pakistan Day in the national capital". "We wonder if someone from Lahore has done black magic on him (Shah). He was never like this." Sena said. Harrison Ford, who suffered severe injuries, when the plane he was flying crashed on March 5, has been discharged. On March 5, 2015 Ford was flying a Ryan PT-22 Recruit, A military training aircraft. 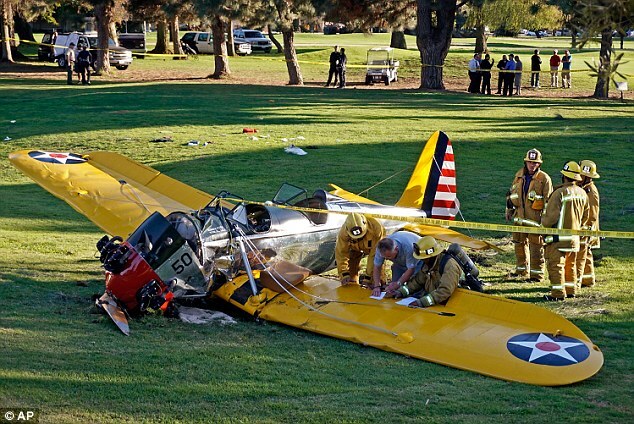 Due to an engine failure he had made an emergency landing on the Penmar Golf Course in Venice, California. He suffered Pelvic, Ankle fracture and minor injuries from the accident and was immediately taken to Ronald Reagan UCLA Medical Centre. The actor was recently discharged from the hospital. Ford had his complete family by his bedside during his hospitalization, His wife Calista Flockhart, 50 took care of his while he was recuperating. Harrison Ford, 72, is known for his 'Han Solo' role in the original Star Wars epic space saga and Indiana Jones role. He is also known for his aviation skills. He is a private Pilot of both fixed wing aircraft and helicopters. Hyderabad: The driver of the speed boat, whose rash driving caused a rare accident in Hussain Sagar Lake on Sunday causing the death of the techie, has been arrested. He has been identified as Shiva Koti. On Sunday, fun ride on Hussain Sagar waters turned tragic for 22-year-old Wipro techie Bakhtawar Rana. While returning from Buddha statue on a speed boat, the driver went perilously close to another boat and suddenly swerved. However, the sharp edge of the other boat had slit the throat of the girl, leading to her death in a private hospital while under treatment. 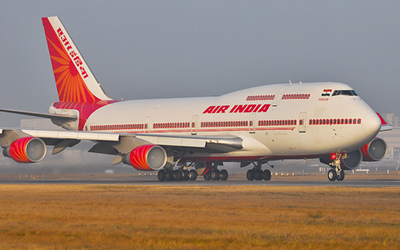 India's giant carrier Air India is spurring its own controversies. After much slammed 'not allowing people who came 55 minutes early' and delaying the flight by 45 minutes as an MP is busy shopping, Air India on Monday is in news for forgetting to load Governor's luggage in the flight. ESL Narasimhan, governor of AP and TS on Monday flew by Air India to Delhi on a three-day-tour. But after half-an-hour, the flight which was headed to Delhi was called back to Hyderabad. The reason: AI staff didn't load Governor's luggage. Even though the program was scheduled much prior, the negligence of AI staff costed an hour time for all the passengers who boarded the flight in which the governor was flying. AI authorities have started an investigation into the incident. Seven people were killed and at least six others injured in an explosion in a firecrackers unit on Sunday in Visakhapatnam in Andhra Pradesh state. The accident occurred in Gokulapadu village of S. Rayavaram mandal, about 100 km from Visakhapatnam city. Loud explosions were heard in the evening and fire destroyed the building. Fire tenders from nearby villages rushed to the scene. The injured were immediately shifted to a hospital in Visakhapatnam. The cause of the explosion and fire is not yet known. The State government has announced Rs.2 lakh compensation to the families of each of the killed persons. SINGER ED SHEERAN DATING BARBARA PALVIN? Sydney: Ed Sheeran who just few days ago announced his split from Athina Andrelos, has sparked dating rumours with model Barbara Palvin. Sheeran was spotted with Barbara in Australia on Thursday. Photos of duo are making rounds in social networking sites. In few photographs, Palvin and Sheeran are seen making separate exits from Mary Street Burger Bar in Newtown, Sydney on Thursday night. The pair were photographed together before hopping on a limousine. In the car, Palvin kept covering her face with her hand while sitting next to Sheeran as they were heading to Hemisphere nightclub at The Establishment. Aditi Arya of Haryana’s Gurgaon has been crowned Femina Miss India 2015. The Haryanvi beauty vied with 21 others from across the country and made it to the top five finalists and pipped past them to win the tiara. The selections were made on the basis of judges’ scores and the judges included Kareen Kapoor, Jacquiline Fernandez and Shahid Kapoor. Anil Kapoor, John Abraham and Firoz Nadiadwala were among the judges. The glitterati who attended the programme include Nana Patekar, Paresh Rawal, Shruthi Haasan, Shiamak Davar, Shilpa Shetty, Manisha Koirala, Neha Dhupia, Sonali Bendre and designers Abu Jani and Sandeep Khosla. New Delhi: Saina Nehwal and Kidambi Srikanth gave double delight to the nation by clinching their maiden women and men's singles titles at the India Open Super Series badminton tournament at the Siri Fort Sports Complex in New Delhi on Sunday. Women's singles top seed and Hyderabadi Saina Nehwal trumped former World Champion Ratchanok Intanon in the final to win 21-16, 21-14 in 49 minutes. Later, 22-year-old Srikanth had a contrasting victory but made sure that he made it a double for Indian badminton by defeating Danish World No.6 Viktor Axelsen 18-21, 21-13, 21-12 in 55 minutes. This is the Saina's second title in 2015 after winning the India Grand Prix Gold in January in Lucknow. The 25-year-old Indian was super confident while taking her shots against her Thai opponent, making the third seed run helter-skelter on the court and forcing her to commit errors. Both Saina and Srikanth took home $20,625 each for the title wins. Dalal Street: The BSE Sensex rose sharply by over 222 points in early trade on Monday on bargain buying in stocks by funds and retail investors amid positive cues from other Asian markets. The 30-share index, which had gained 1.06 per cent in highly volatile trade on Friday, spurted by 222.34 points, or 0.81 per cent, to 27,680.98, with FMCG, infrastructure, consumer durables, capital goods and banking sector stocks leading the recovery. Also, the National Stock Exchange index Nifty reclaimed the crucial 8,400-mark by surging 63.65 points, or 0.76 per cent, to 8,405.05. A 7.5-magnitude earthquake struck off the coast of Papua New Guinea on Monday and a tsunami alert has been sounded in the country. The US weather officials predict that small tidal waves could also hit the coasts of other areas of the Pacific, including Australia, Japan, Philippines, New Caledonia, Marshall Islands, Fiji, Samoa, and Vanuatu. The initial quake was followed by a smaller 5.7-magnitude aftershock in the same area. Chris McKee from the Geological Survey in Papua New Guinea said they were still analysing the quake. The nearest town of Kokopo, the capital of East New Britain, has a population of around 20,000. Britain. A very emotional moment for every Singaporeans. To bid their final farewell to the Founding father of Singapore Prime Minister Lee Kuan Yew's funeral procession saw over hundreds of observers gathered on the streets despite the downpour. Lee died on Monday at Singapore General Hospital after a long battle with Pneumonia. at the age of 91. The Procession started from The Parliament to University Cultural Centre (UCC) at the National University of Singapore (NUS). It shall pass through several significant landmarks. The casket was carried by Brigadier-General Ong Tze-Ch'in, Commander, 3rd Division, consisting of 8 senior officers from the Singapore Air Force and Singapore Police Force. A 21-gun Salute, Military jets flying overhead and two Singapore navy vessels honored the procession. Over half a million people showed up, Standing in torrential rain in queues. 18 special memorial sites were opened up for the 850,000 people who couldn't pay their tributes in the parliament. Leaders from across the globe flew in to pay their tribute among them were, Indian Prime Minster Narendra Modi, former US president Bill Clinton , Japanese Prime Minister Shinzo Abe and Australian Prime Minister Tony Abbott. Singapore's Changi Airport observed a minute of silence at 4 p.m in its 3 terminals. The officials at Changi Airport stated that "public announcements will be made to both passengers and visitors airport-wide that include transit, public and staff areas, prior to and at the sounding of the siren, signifying the start of the observance". Wanted: If You Love Technology as Much As Indie Film, You Could Be Our Product Manager. Roger Moore Says Idris Elba as James Bond is "Unrealistic" Because He's Not "English-English"
Do (Strawberry) Blondes Really Have More Fun? All Hail The Pinkett-Smith Family! And why she finally decided to end it. "Parents who choose personal happiness teach their kids to do the same." Please Act With My Professional Wife! As Sunny Leone’s much awaited Ek Paheli Leela is about to hit the theaters on April 10, the promotions for the film is on at full swing. Apart from Sunny, the movie features Jay Bhanushali, Rajneesh Duggal and Rahul Dev in the lead roles. The makers have claimed that many actors refused to be a part of the film as Sunny had already been signed to play the lead role of Leela. “Many big actors and known faces were approached for the film. They loved the script, but they refused it because Sunny belongs from the adult film industry. It was very sad that many actors refused to do this film,” says director Bobby Khan. Apparently, Sunny is very sad too. The adult star turned actress is believed to have said that her past life was her choice, but in India, people’s thinking is still like that unfortunately.